A generation of black scientists is gearing up to transform the research landscape. Linda Nordling is a freelance journalist in Cape Town, South Africa. Wanga Zembe-Mkabile learnt a lot about herself from being uncomfortable in other people’s kitchens. In 2009, the South African social-policy researcher was collecting data for her PhD on the outcomes of government child-support grants. The research called for ‘cupboard inventories’ — taking stock of the food in study participants’ kitchens. But seeing the embarrassment in home after home as people opened their often-empty pantries, Zembe-Mkabile felt something was amiss. “It just didn’t feel right to look into people’s cupboards,” she says. At the time, she did not act on her unease. Only years later, as an established scientist, did Zembe-Mkabile begin to understand the complexity of her apprehension. Community-based research often puts young scientists in a position of power over research participants, a role that can be daunting and unfamiliar. But for Zembe-Mkabile, the feelings went deeper. She’d known apartheid, and how its architects had used science to underpin their racist philosophies. The vestiges of that power imbalance were still there in her kitchen encounters. 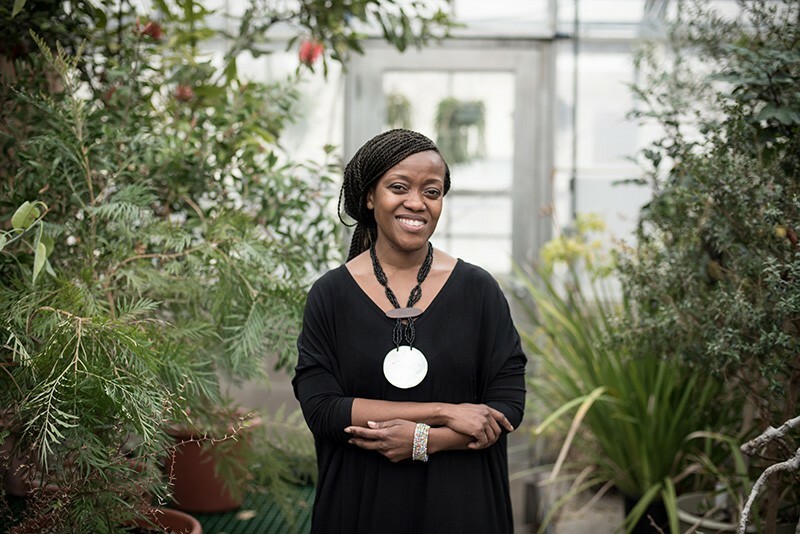 Zembe-Mkabile grew up around poverty, but as a scientist trained at the University of Oxford, UK, she was the product of a system shaped by and for white Europeans. The tension between these two roles — the insider and the outsider — is central to her identity as a researcher, and has shaped her thinking about how research can, and should, be done. Now, working at the South African Medical Research Council in Cape Town, she directs studies on how social policy relates to poverty, inequality and health. She plans to involve communities at the design stage of her experiments and, eventually, to include them in the analysis as well. Already, if she feels a tool or question is not appropriate for its setting, she eliminates it from her research. “Some questions are not worth exploring if they are going to trample on people’s dignity,” she says. Zembe-Mkabile thinks about her experiences a lot when she considers the mounting calls in her country to decolonize academia. Decolonization is a movement to eliminate, or at least mitigate, the disproportionate legacy of white European thought and culture in education. According to advocates, this is not just about increasing the number of black scientists, although such racial ‘transformation’ is an important part of the process. It also means dismantling the hegemony of European values and making way for the local philosophy and traditions that colonists had cast aside. Substantial literature from around the world supports the need to change curricula, and some South African universities have begun to take action and establish review committees. But the push for change is sometimes tense. Student demonstrations have wrapped arguments about decolonization into protests over university fees, and have resulted in disrupted classes, fires and millions of dollars spent on security and repairs. Science departments have struggled to define what decolonization means for their curricula and for research. Most are ramping up efforts to overcome the glaring under-representation of black scientists, but what comes next is unclear. Zembe-Mkabile’s generation, which straddles pre- and post-apartheid South Africa, will soon be leading the country’s research institutions as they grapple with the challenge of reformulating science for the new South Africa. South Africa, like many nations, is currently dealing with high unemployment rates and glaring inequality. These are cast into sharp focus by the legacy of apartheid rule. Although political power has been in the hands of the black majority since the dawn of South African democracy 24 years ago, economic power remains with white people: white households in 2015 earned around 4.5 times as much as black households, and whites hold more than 60% of top management positions, despite accounting for only 10% of the working population. In universities, black people account for not quite 35% of academics, despite making up about 80% of the population. Students, meanwhile, face multiple barriers to achievement, including an education system that has left many unprepared for university studies. A 2015 government report found that black South Africans had the highest dropout rate in the country; 32% leave their studies in their first year. As for curricula, African literature, philosophy, medicine and culture are often relegated to optional courses or skipped entirely. It is against this backdrop that researchers in Zembe-Mkabile’s generation forged their academic paths. Children during apartheid, they reached adulthood in the rainbow-coloured afterglow of Nelson Mandela’s release from prison in 1990. Some hail from communities that are distrustful of science. In Xhosa, Zembe-Mkabile’s home language, there isn’t even a word for research. The best approximation, she says, is ukuphanda, which has negative connotations. “It means to search for a bad thing, like a police investigation,” she says. Zembe-Mkabile’s experience is not unique. Amanda Hlengwa, an academic developer at Rhodes University in Grahamstown, has similar memories of her undergraduate degree in Durban in the late 1990s. “The goal was assimilation. That was the only way to survive.” This is changing, she says: universities are beginning to recognize students’ diverse backgrounds, and the challenges that university culture presents. But strategies to address this gap have been slow to materialize and are unevenly implemented. Thaddeus Metz, a philosopher at the University of Johannesburg, agrees. A white American who settled in South Africa in 2004, he was the first to teach African philosophy at the nearby University of the Witwatersrand, the city’s most prestigious research university, where he worked before his current post. “There is this long-standing intellectual tradition that has been neglected at best, at worst denigrated,” he says. He adds that the majority of students, regardless of their race, are curious about African knowledge traditions, but that there’s a lack of institutional leadership. Many in the humanities and social sciences are angry because they feel isolated and powerless. But only a small minority of scientists hold such radical views. For most, decolonization of science calls for something more complex and subtle. “Decolonization is going to happen in the mind,” says Siyanda Makaula, a former cardiology lecturer who now works in university governance. Such shifts in thinking could mean, for example, that pharmacology students hear how drugs are being developed from plants their grandmothers used to treat stomach ache. This would show the relevance of traditional culture in modern science and anchor the curriculum in local experience. In other subjects, it could be about highlighting the contribution of non-Europeans, or facing the unsavoury history of a discipline: for example, exploring how medical research had a role in fuelling racist ideas and how these were challenged and overturned. Across the board, it means ensuring that research addresses local problems and challenges. Such refocusing is taking much too long in South African universities, says Makaula. And that inertia is costing the country dearly in terms of black research talent. He sees himself as a prime example. A decade ago, Makaula earned a PhD in cardiology. But repeated brushes with racism and tokenism — being asked, along with other black students, to meet potential funders while his white colleagues could stay in the lab — frustrated him to the point that he left academia. Today, he works for the Council on Higher Education based in Pretoria, a public-sector body that deals with quality control and regulatory compliance in universities. Black researchers are rapidly moving into South Africa’s academic spaces. But not all of them are considered ‘black’ by the country’s Department of Higher Education and Training. Researchers from other parts of the world are instead classified as ‘foreign’. It’s a large and fast-growing segment. One report4 found that although black PhD graduates outnumbered whites for the first time in South Africa’s history in 2012, more than half of them hailed from countries such as Nigeria, Zimbabwe, Uganda and Kenya. There are a few reasons for this. It is cheaper to study in South Africa than in Europe or the United States, and the country offers better research facilities than elsewhere in Africa. But for some locals, the growing presence of foreign black researchers is a problem. Jobs are scarce, and some believe that universities are more willing to hire non-South African black people than locals. So foreign black scientists — such as Thumbi Ndung’u, a Kenyan virologist based at the University of KwaZulu-Natal in Durban — experience a special kind of alienation. “You can’t completely identify with the local black population. They see you as an outsider. On the other hand, you are not in the white old-boys’ club,” he says. Ndung’u had anticipated some friction when he moved to Durban in 2005 to study HIV. But it wasn’t until he lived there that he began to understand the frustrations of local black academics. The system is blind to its own biases, he says. Makunga’s research has brought her closer to her roots. When she was growing up, her family did not use traditional medicine, she says. But now she studies South African medicinal plants, using modern biotechnology to explore their pharmacological properties — and she reckons the work is “pretty decolonial”. Having studied a variety of plants, in 2016 she returned to the Eastern Cape, where she grew up, to learn about the traditional medicine practised by her ancestors. She takes her responsibility as custodian of these practices seriously. “I’m holding somebody else’s knowledge. I need to treat it with respect,” she says. Stellenbosch has changed a lot since she was warned off, says Makunga, who is currently at the University of Minnesota in Minneapolis for a nine-month Fulbright scholarship. She feels welcome at Stellenbosch and valued as a black woman — still a rare occurrence at faculty level. Still, she longs for the day when that is not the headline issue; when she can be a scientist first and a black woman second. “I would like us to move beyond our apartheid race hangover,” she says wistfully. Black women are among the most under-represented groups in South Africa’s academic melting pot. They make up 14% of the country’s researchers, compared with black men’s 18%. And they face tough odds. 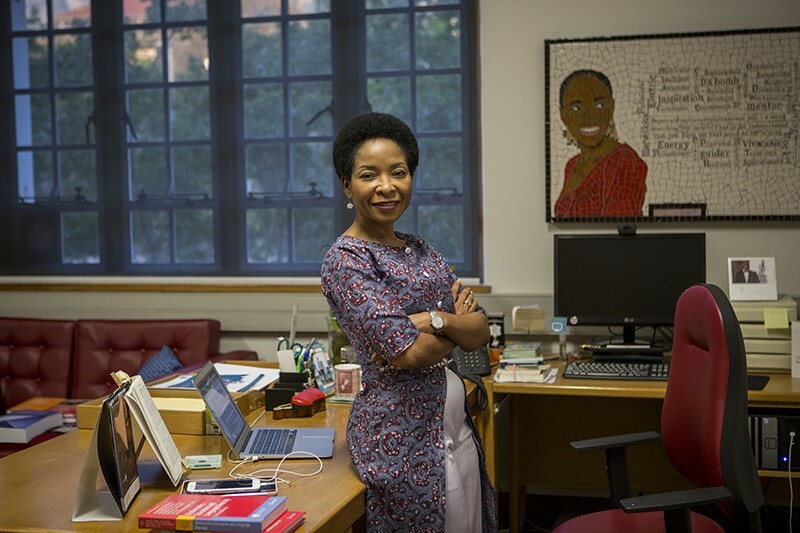 In her 2015 article ‘Leadership: The invisibility of African women and the masculinity of power’, Mamokgethi Phakeng writes2 that black women, as well as being marginalized for their gender and race by white society, face opposition from patriarchal African cultures. This “masculinity of power”, she writes, needs to be challenged alongside colonialism and sexism. 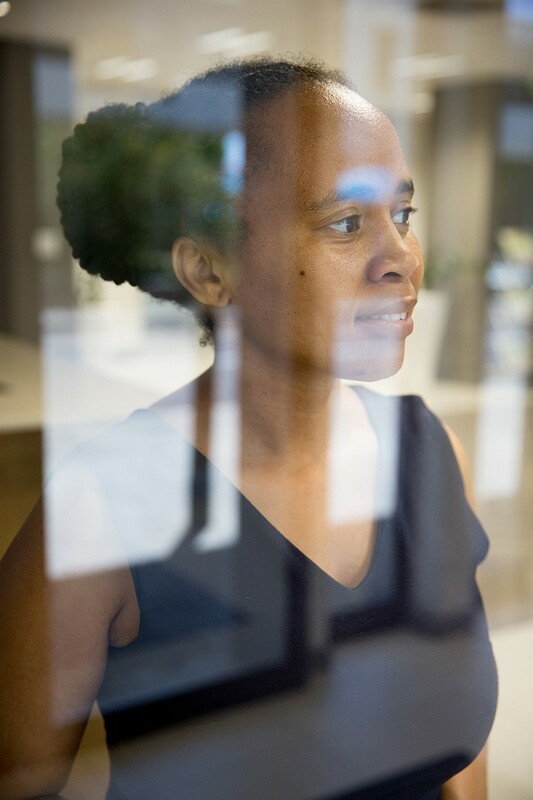 Phakeng is a scholar of mathematics education and deputy vice-chancellor of research at the University of Cape Town. Her outspokenness about the experience of black researchers has charmed an army of Instagram and Twitter followers. But at times the veneration is misguided, she feels. It’s great to inspire young people to speak up and be themselves, “but I don’t want that to be my most powerful role”, she says. To her, the most important thing she has done is excel as a researcher. Phakeng’s work centres on mathematics and language. She showed3, for example, that code-switching — alternating between languages — helps multilingual people to understand mathematical concepts. This is significant in South Africa, where students have been scolded for using their home language. Today, code-switching is encouraged in many classrooms. Yet, critics have argued that her field is not a suitable background for the head of research at one of Africa’s strongest science institutions. Last October, an e-mail started circulating, questioning her qualifications. She took on her attackers, and vice‑chancellor Max Price denounced the e-mail and its contents. The future of South Africa’s university sector is uncertain. Hlengwa worries that the momentum created by student protests might fizzle out without sustained change taking root. “While the heat was on, you had opportunities to work on transforming curricula,” she says. But as universities learn to work with unrest, they snap back to old ways, she says. She also worries that black academics are being run into the ground by the demands placed on them — from being called on to sit on diversity committees to giving advice on the complex challenges facing black students and staff. “Where’s the space for me to do some deep thinking about my research?” Hlengwa asks. Breetzke, G. D. & Hedding, D. W. Higher Educ. http://dx.doi.org/10.1007/s10734-017-0203-4 (2017). Phakeng, M. S. Afr. J. Sci. 111, a0126 (2015). Setati, M., Adler, J., Reed, Y. & Bapoo, A. Lang. Educ. 16, 128–149 (2002). Cloete, N., Sheppard, C. & Bailey, T. in Knowledge Production and Contradictory Functions in African Higher Education (eds Cloete, N., Maassen, P. & Bailey, T.) Ch. 5 (African Minds, 2015).